I was faced with the same question and after some research ended up with a Big Agnes Seedhouse 1 SL tent (links to Mountain Equipment Co-op). 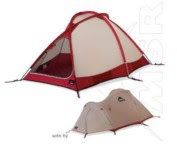 It's a freestanding, one-man tent but can actually fit 2 people if all the gear is thrown outside. It weighs under 3 lbs. I'm very happy with it so far. Would you consider the Chrysalis as a 4 season solo tent? I've certainly used it in a four season setting. I just got back from Red Rock Canyon where the temperatures dropped down to 20 degrees, we dealt with high winds and snow. That said, it is not officially a four season tent. 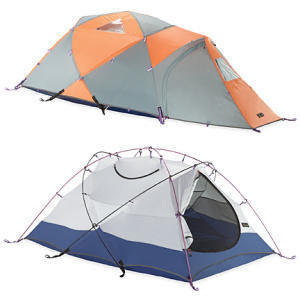 Would you consider a strong 3 season tent a good choice for summer cascades climbs? I'm torn between a eVent single wall and a lighter/weaker double wall. 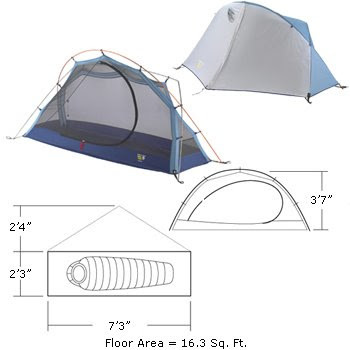 A strong 3-season tent is a good choice. I would not purchase a single wall tent for the Cascades.